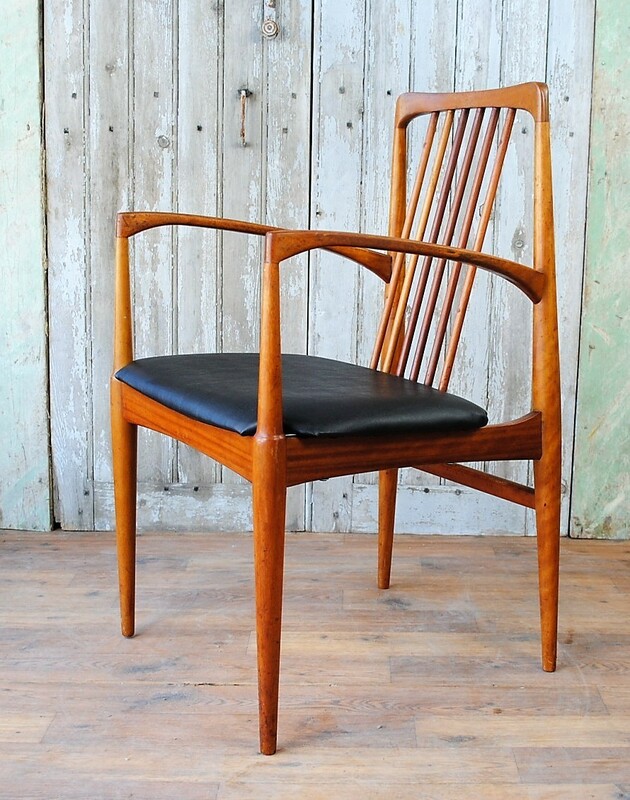 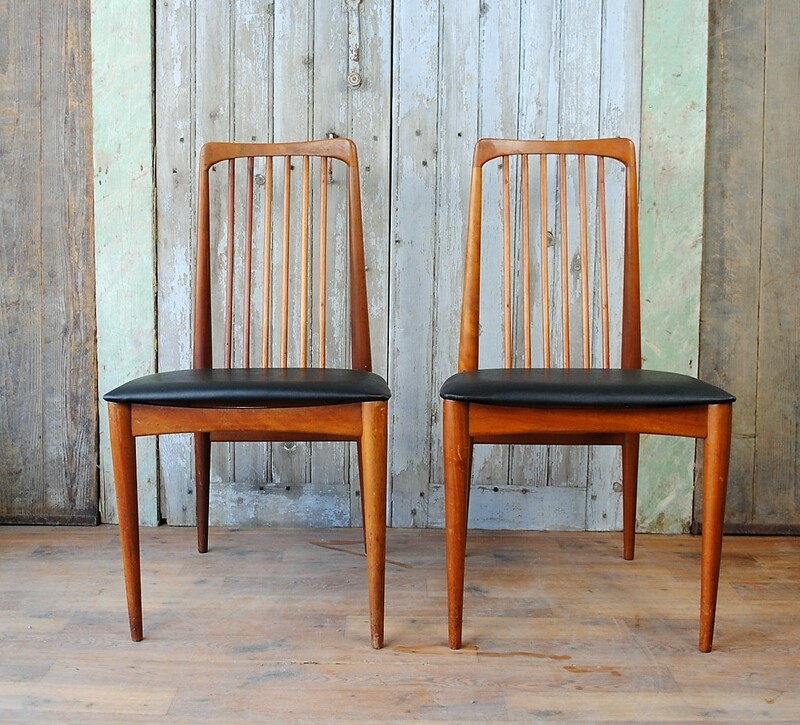 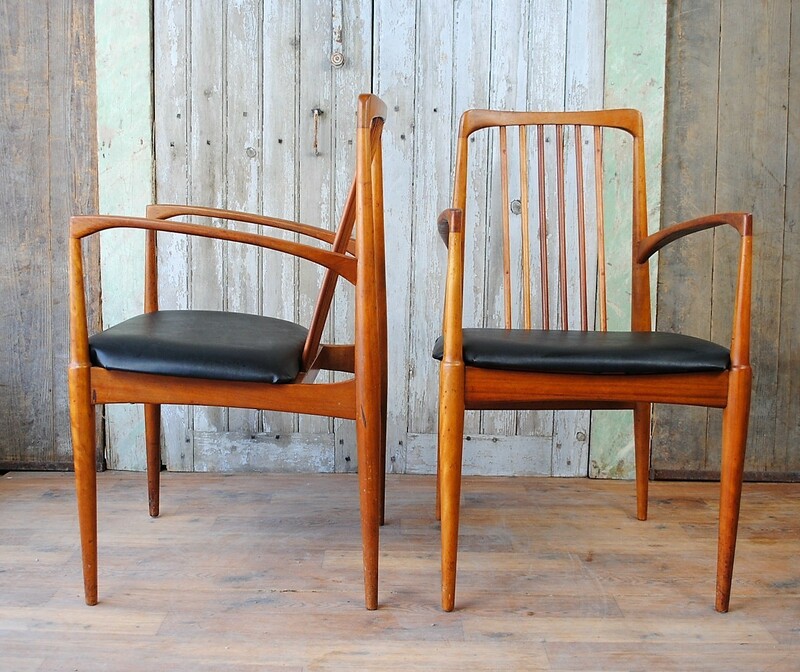 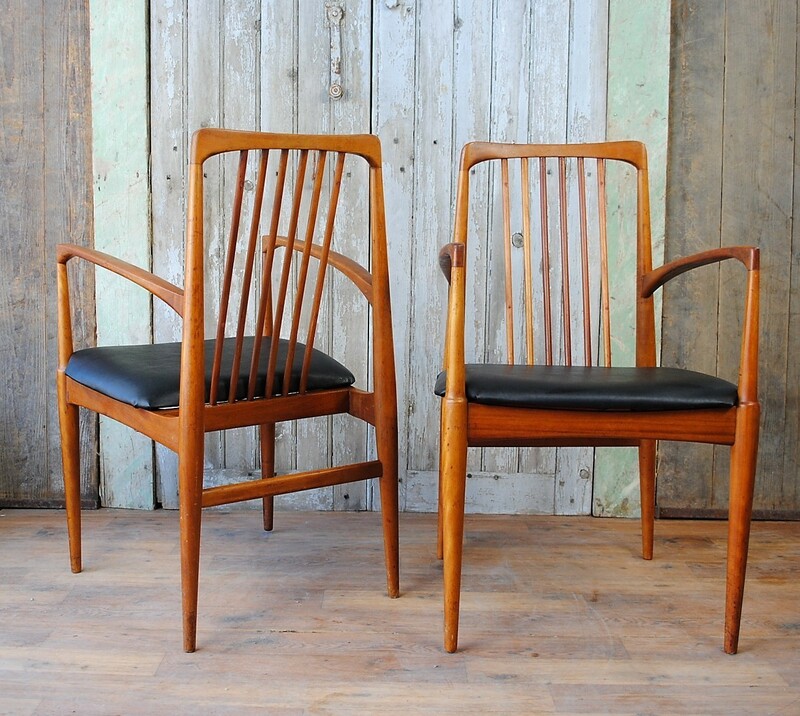 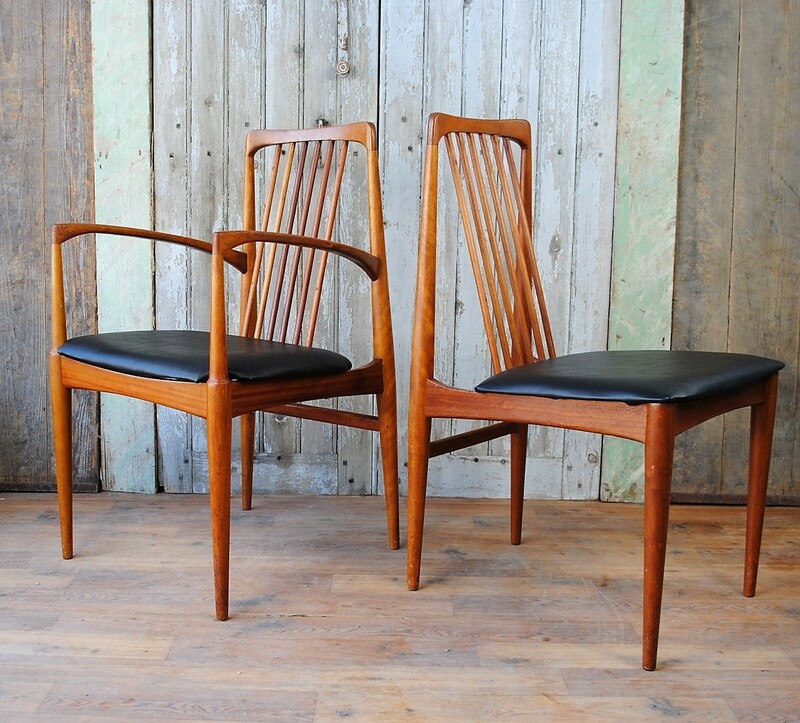 Two carvers and four dining chairs with teak frames and black vinyl seat covers. 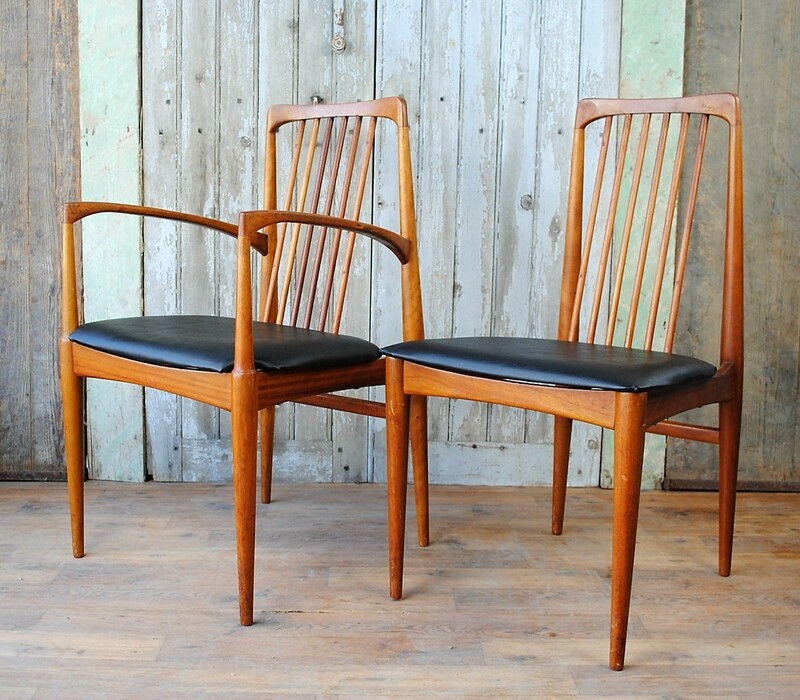 Stylish scandinavian design with sculptural slender arms, legs and spindle backs. 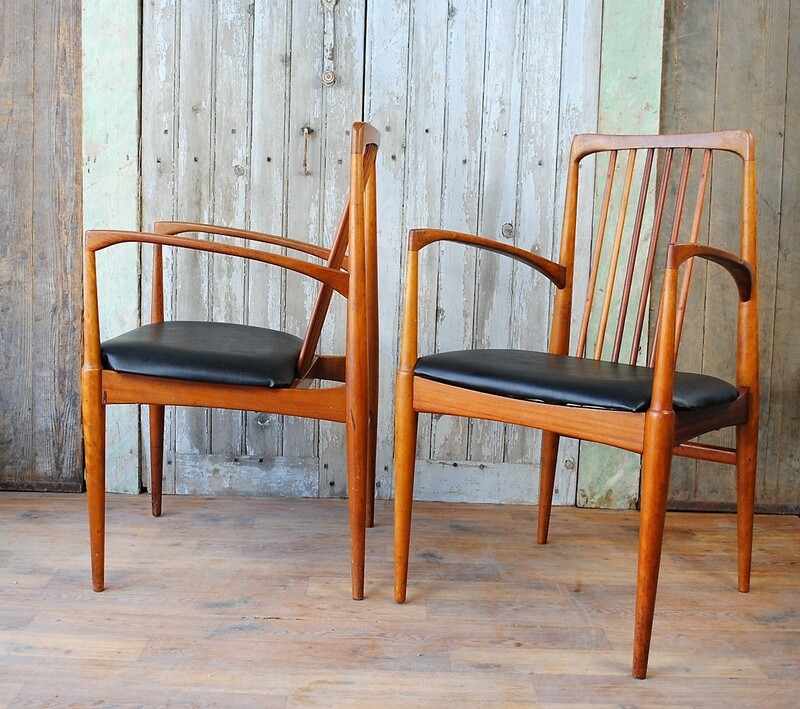 All six chairs are in full working order with firm frames and no defects. 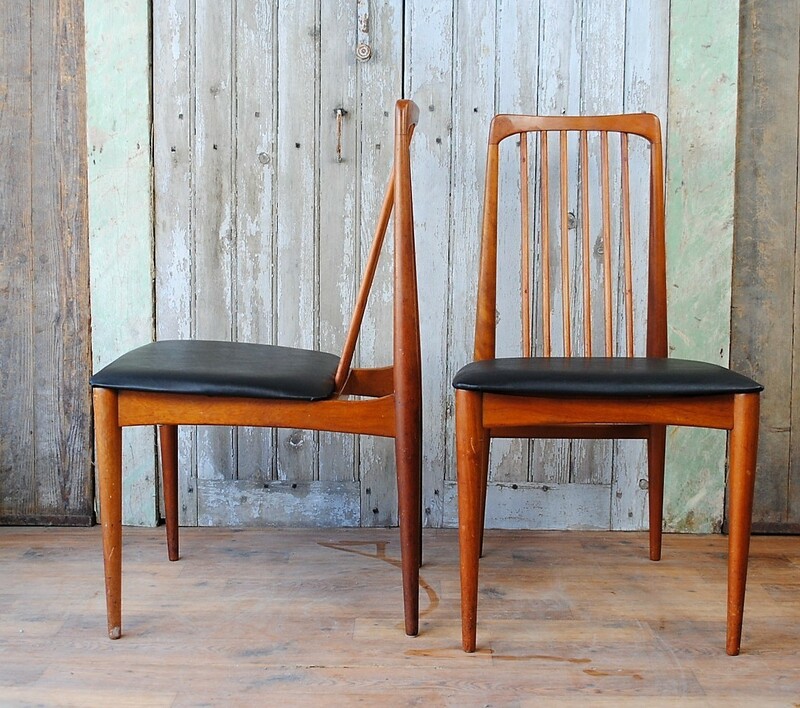 Some evidence that possible they once had back supports with filled in screw holes to the back spindles. 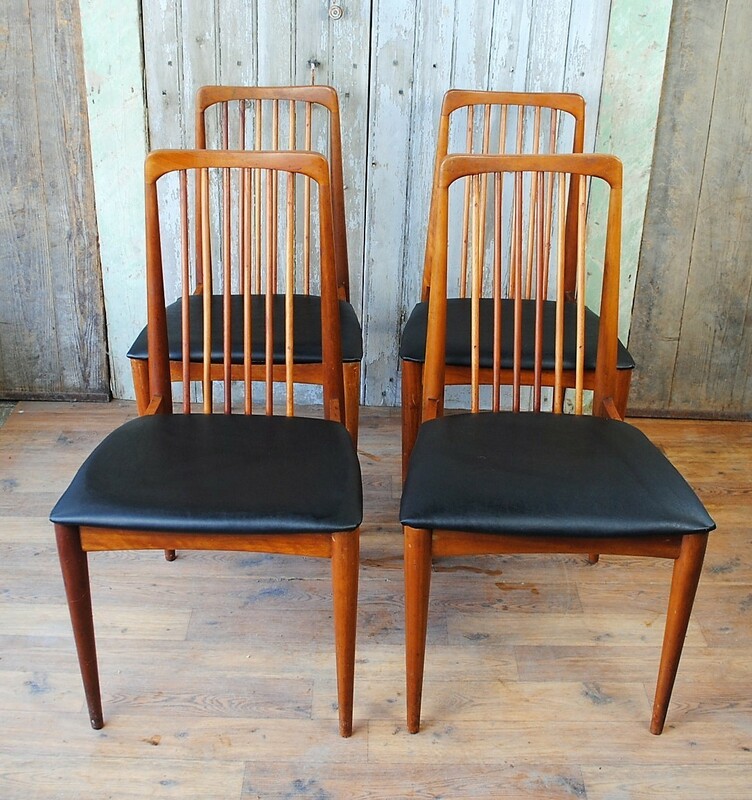 The price shown is for the complete set of six chairs.